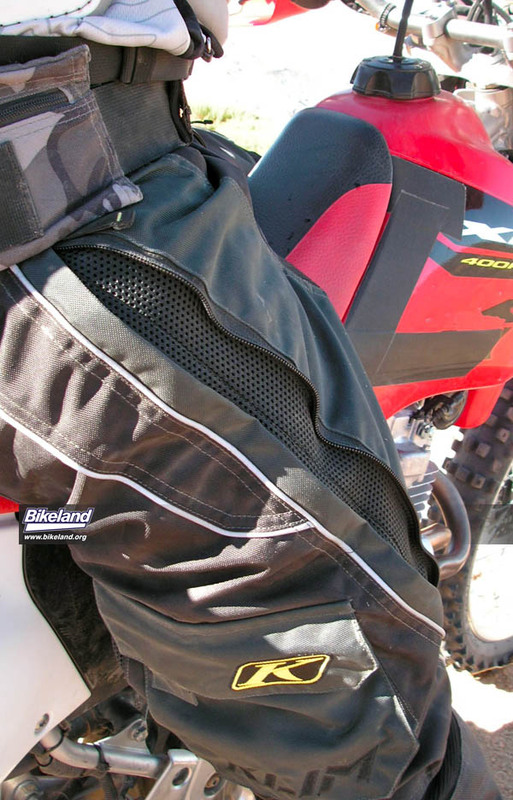 Off Road riders have lots of choices when it comes to pants, but it can still be surprisingly difficult to find a good combination of features, fit and performance. 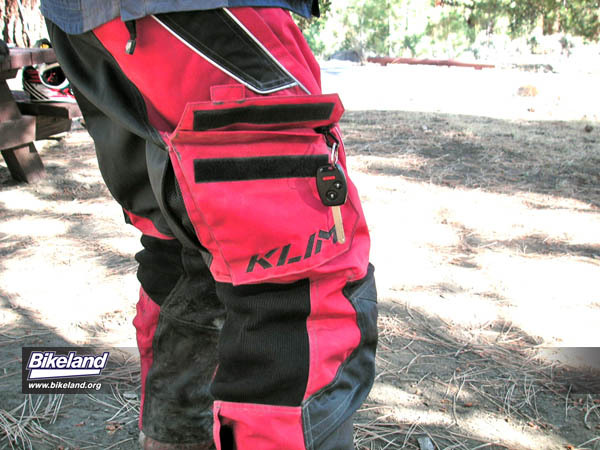 Klim is one of many companies offering higher-end technical clothing for the Powersports enthusiast. The term ‘technical’ is a bit overused these days, but not in this case. Klim’s Dakar pant incorporates both premium materials and advanced features, foregoing ‘racer boy’ graphics and the occasionally sub-par consumer version quality that some well-compensated MX stars may endorse. Most MX wannabes won’t be interested in the three-season Dakar though, since it’s an over-the-boot design. Too bad for them. 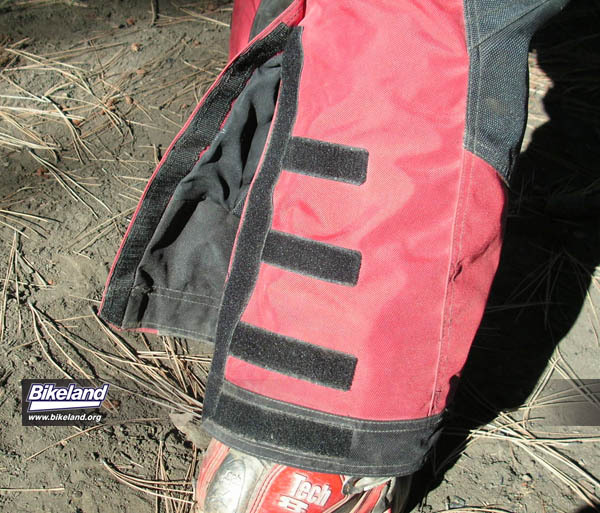 If you haven’t tried over the boot pants yet, one ride may make you kiss off traditional MX pants thanks to better range of motion and fewer water filled boots on stream crossings. The Dakar reflects a lot of testing and attention to detail. On the thighs, twenty-inch mesh lined vents with two way zippers work in conjunction with stretchy waist. 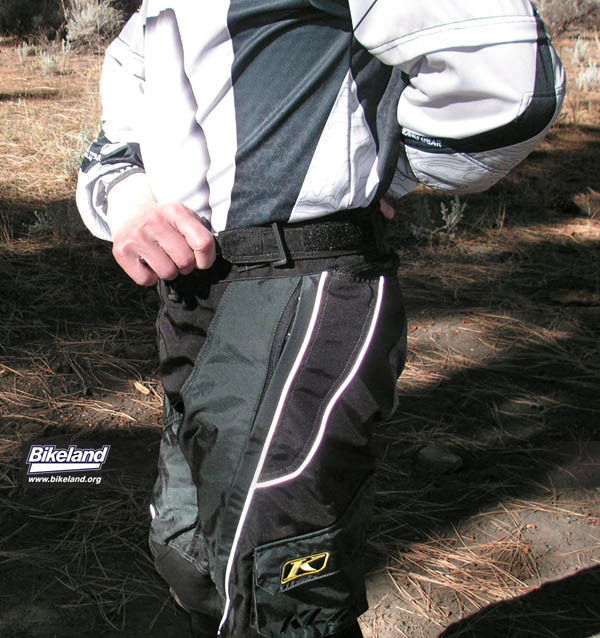 Knee and crotch panels help to provide a cool ride up to about 85F. 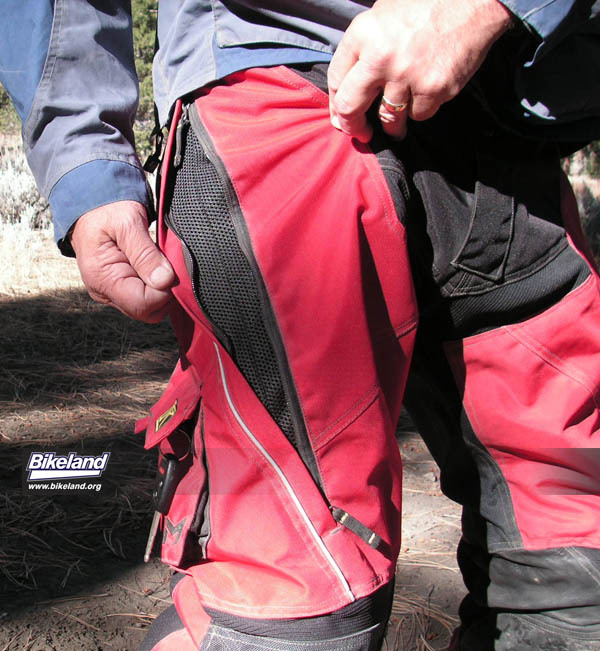 The zip vents funnel air best when you’re standing while riding and require only a few seconds of higher airflow to let the wickable liner do the job. 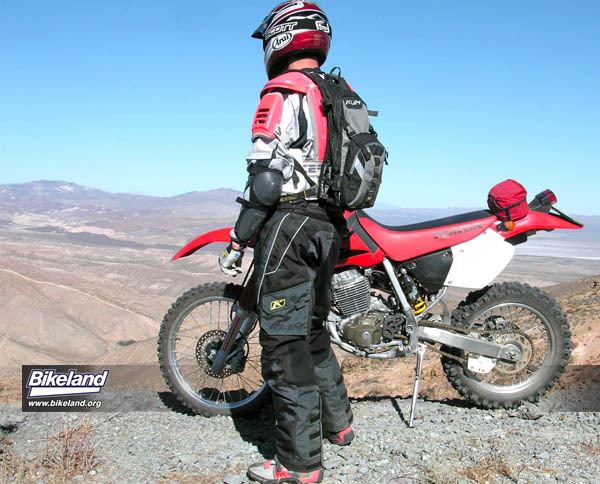 You’ll still want a fully ventilated pant for the dog days of summer, or if you spend a lot of time on slow technical terrain, but the Dakar is a good all rounder. Construction materials are impressive with locking YKK zips and a proprietary 840D Cordura body Klim claims is 2.2 times more durable than heavier generic nylons. Seat and knee panels use 1682 ballistic Denier and include a water repelling treatment. Removable hip and (soft) kneepads easily accommodate additional impact protection. 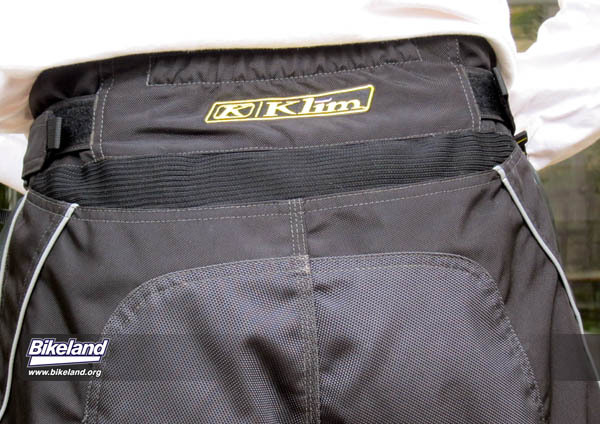 Klim’s snowmobile experience shows in the reflective detail with 3M industrial grade piping. 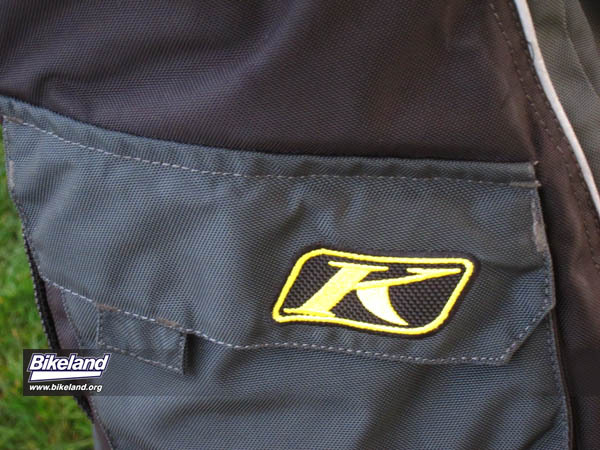 Klim reps say it reflects light directly back to the source and holds up better through repeated washings. 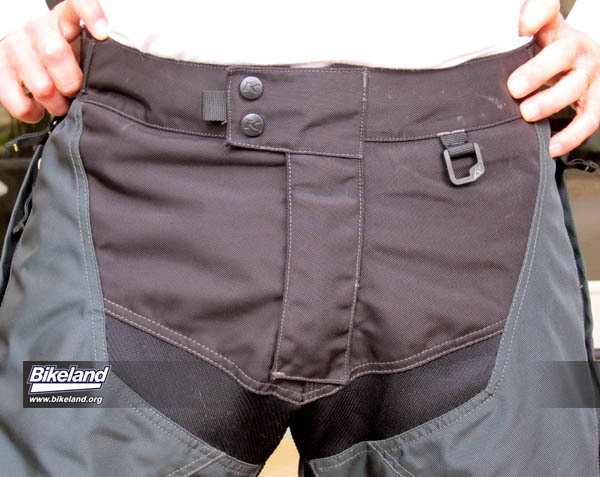 Two, well-placed, deep capacity pockets at mid thigh use strong Velcro closures. A storm flap front fly has a zipper pull, however it can be difficult to access with gloves. 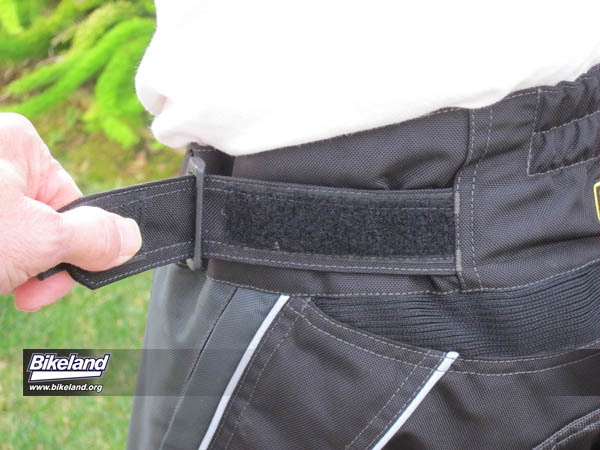 The key lanyard inside the pocket is handy and the pant also incorporates a waist mounted D Ring. Our sample Dakars are holding up very well. 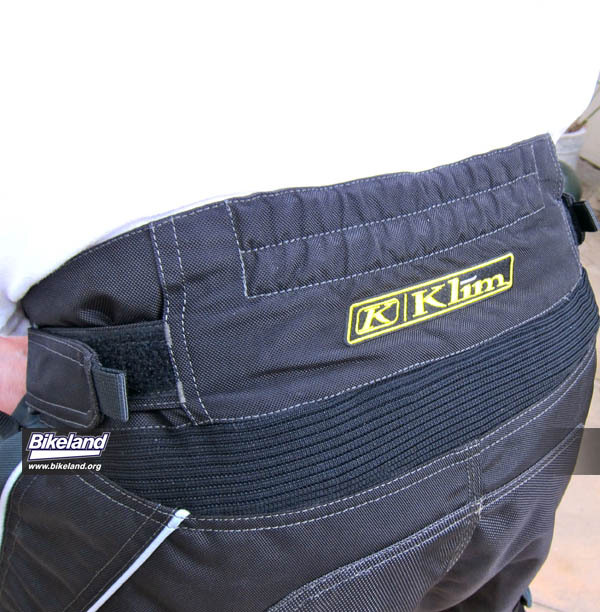 Klim cites the use of ‘high tenacity’ thread with bar tacks and we’ve seen no fraying after a half-dozen washings in Bikeland’s infamous, clothes-twisting Whirlpool top loader. The soft, lower inner leg panels designed to protect the bike’s finish are showing minor divots and tears from a few pucker bush forays; an acceptable trade-off in our opinion though. The Dakar’s unique ventilation features provide the ability to accommodate a wide range of temperature swings. These are not lightweight pants, but the adjustable fit, material quality and useful features make them quite a good package. Klim gear is not stocked at as many dealerships as some other brands, and you also won’t see the fashion-related closeout deals associated with those other names. Dealers may be willing to special order, or you can go direct. Our sample’s waist size was two inches larger than marked although we’ve seen opposite comments on some forums, so try on a pair first if you can. 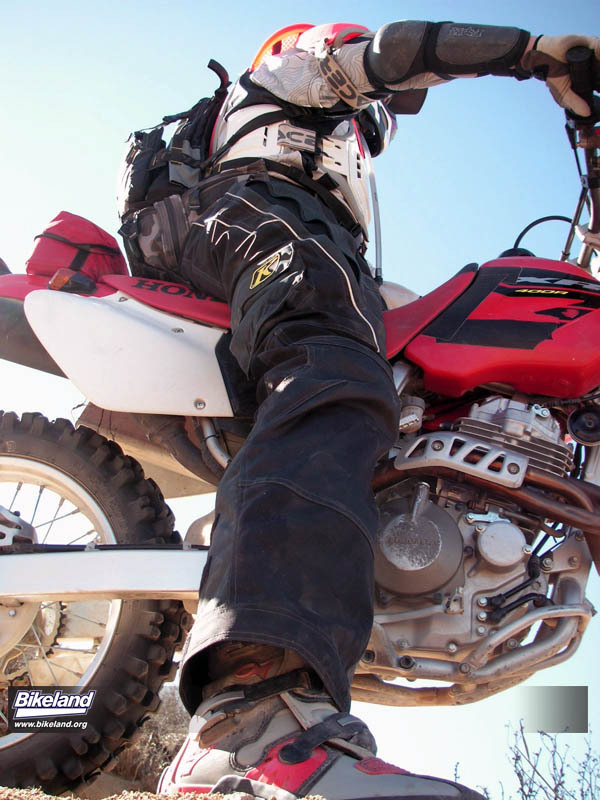 At $179.00 SRP and $10 more for tall, the Dakar may cost more than your last pair of pants, but is a good value and compares well with higher priced technical ‘adventure riding’ brands. 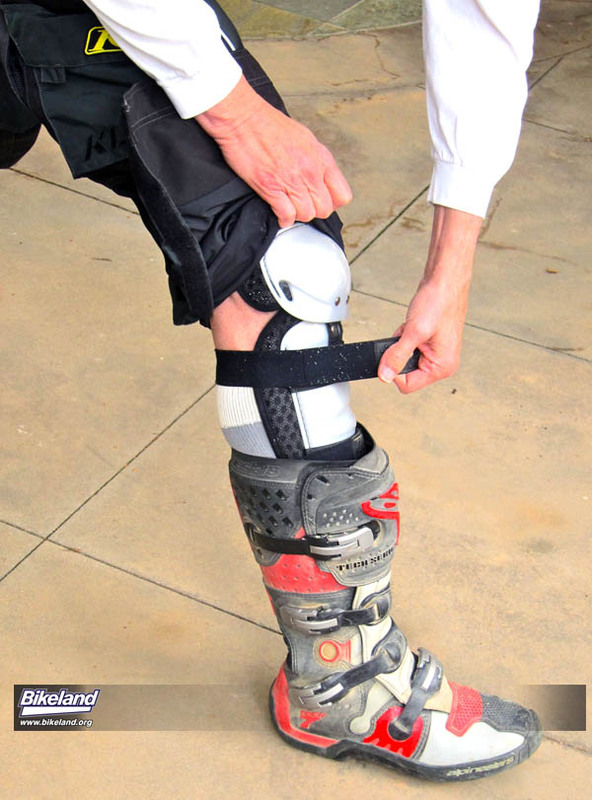 Cuffs open wide allowing easy access to boots, socks and even knee braces.